The demographic attributes of a population can provide important insights for the efforts towards enhancing acceptance and adoption of products. This happens when the characteristics of the consumers are taken into account while developing and marketing the mobile gaming app. These attributes include who the players are, their age, likes and dislikes among others considerations. Research indicates that the majority of people who play mobile games are aged between 26 and 45 years old and the males are slightly above the females. This is the category of people that belong to the working class population, who are more likely to be enthusiastic about owning a mobile device, have the financial capability to purchase one, and are open to trying new things. Also, it comprises of a generation that has grown up in the face of affirmative action, and as such, do not make a distinction between male-oriented and female-oriented mobile games. This means that developing games that target this population requires a general rather than a focused view. Killing boredom and relaxing are among the major factors that drive mobile gaming. Based on the type of game, there is a possibility that a new group of gamers is emerging: people who are driven by the need to test their skills and to reward themselves for making progress. Developers, therefore, need to incorporate reward systems in their mobile games. However, this must be combined with a sense of pleasure and fulfillment. Most of these people are influenced by others. 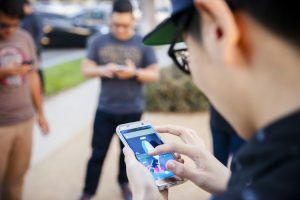 Rather than being object-oriented, and as such liking a mobile game app due to its inherent features, the majority of the players are people-oriented, valuing their opinions and recommendations above what is indicated by the developer. The implication is that they are more likely to try a game based on the ratings and experience of previous players, and through recommendations from influencers. It also implies that the players are more inclined towards experience.